A busy level crossing will close for good this weekend prompting fears it will bring heavy disruption to the area. 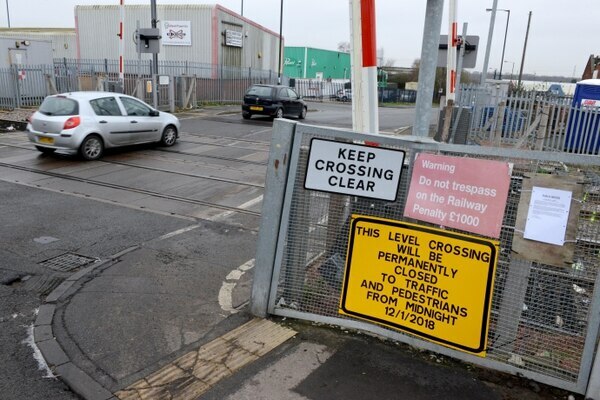 Network Rail confirmed that motorists will no longer be able to use Bloxwich level crossing between Reeves Street and Willenhall Lane from midnight Friday, citing safety reasons. The move is part of the on-going Chase Line electrification work between Walsall and Rugeley. A pedestrian footbridge will be built but will not be ready for the summer so a free shuttle bus is is being provided until then. While motorists have been directed to the bridge at Central Drive which re-opened in 2016 after two years worth of improvement works. 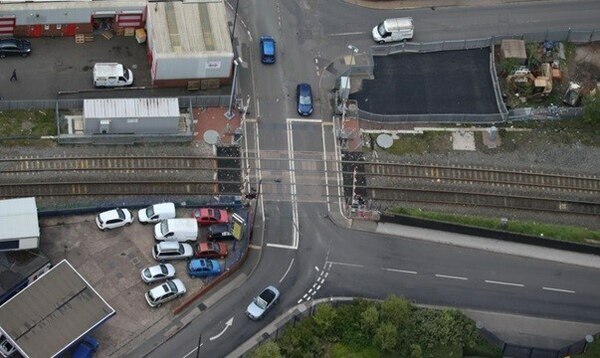 The view from above - could shutting this level crossing bring disruption? The idea to close the crossing had caused residents in Dudley Fields to launch a campaign to stop the move. They had argued it would only serve to increase traffic on other residential streets. 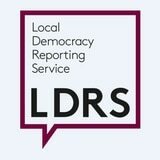 But politicians have pointed to the long-term benefits. 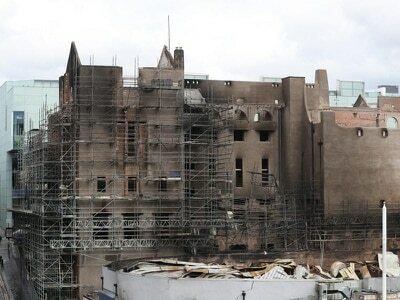 When it is closed Network rail will proceed to realign the track so line speed can increase from 25mph to 50mph. 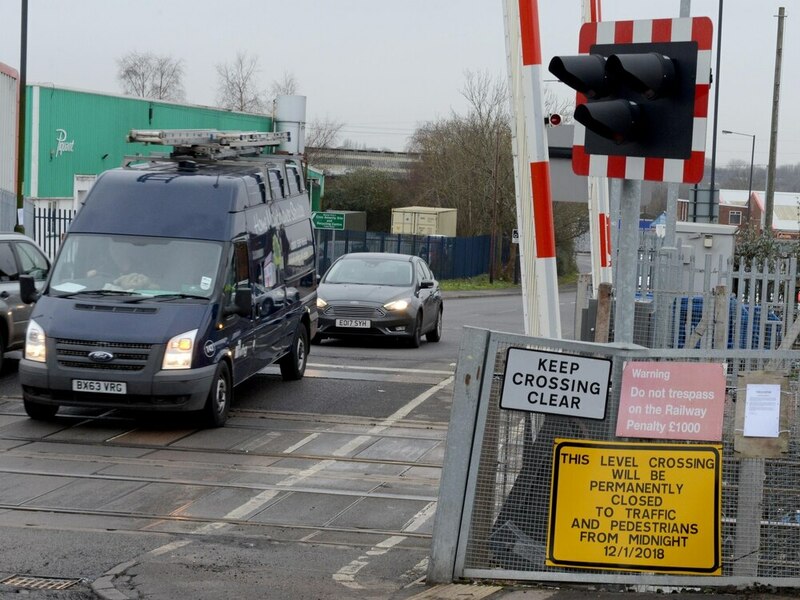 Walsall North MP Eddie Hughes said: “Although the level crossing is closing, in the interim, Network Rail will be providing a minibus service to ferry people from one side of the crossing to the other before a footbridge is installed. “This will cause some inconvenience in the short term however in the long term there is going to be a tremendous amount of benefits, as it will mean faster and more frequent trains with improved safety. “This will benefit the people of Bloxwich and the surrounding area in the long run.” While Lee Jeavons, Deputy Leader at Walsall Council, said: “The council has always supported Network Rail’s electrification project of the Walsall to Rugeley Trent Valley railway, also known as the Chase Line. “Not only will it improve Walsall’s connections with the region, which is vital to the economic growth of the borough but it also reduces noise levels for local residents. “Since the start of the project we asked that Network Rail keep residents and local businesses informed of the plans to close the crossing. Martin Tiller, sponsor for the Chase Line upgrade for Network Rail echoed their points. He said: “We are investing over £100m to improve journeys between Birmingham New Street and Rugeley Trent Valley via Walsall. Passengers will benefit from a more reliable train service and those who live near the railway will see a reduction in railway related noise as electric trains are quieter than diesel trains.